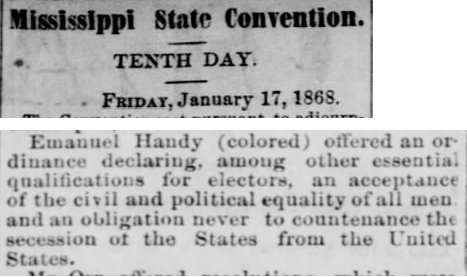 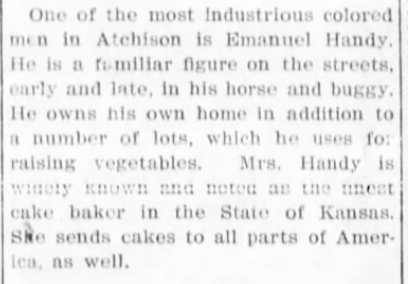 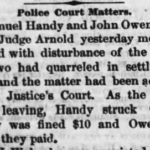 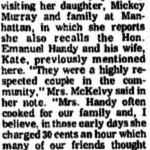 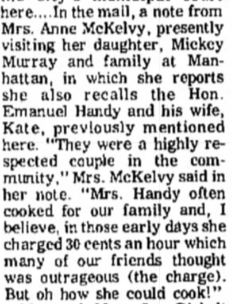 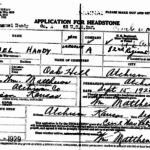 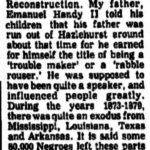 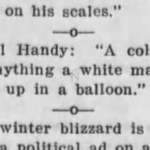 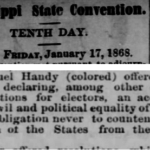 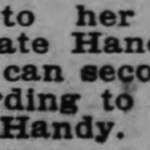 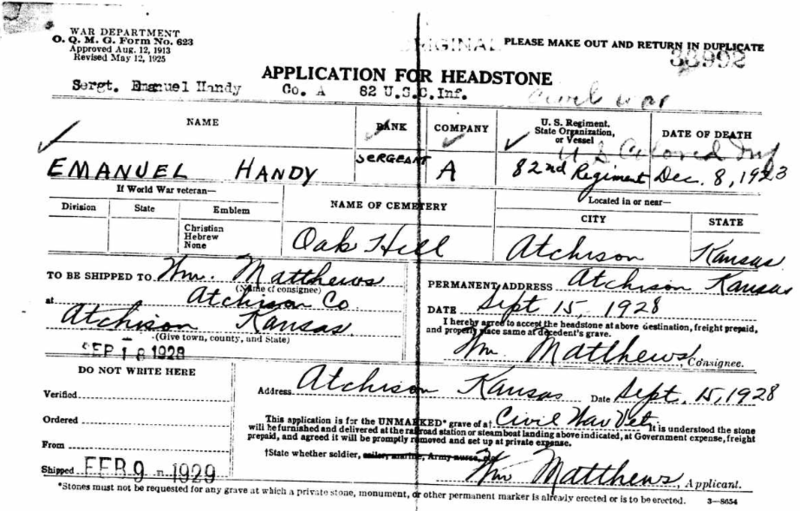 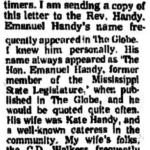 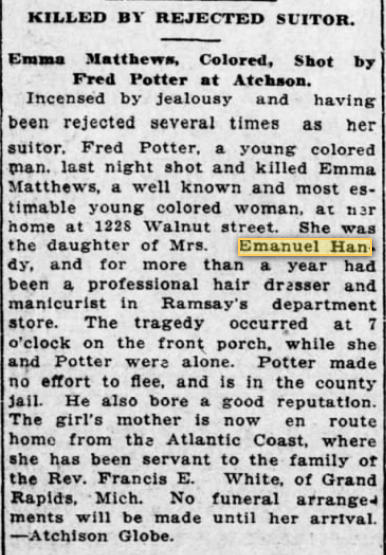 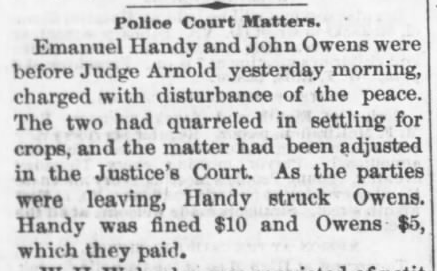 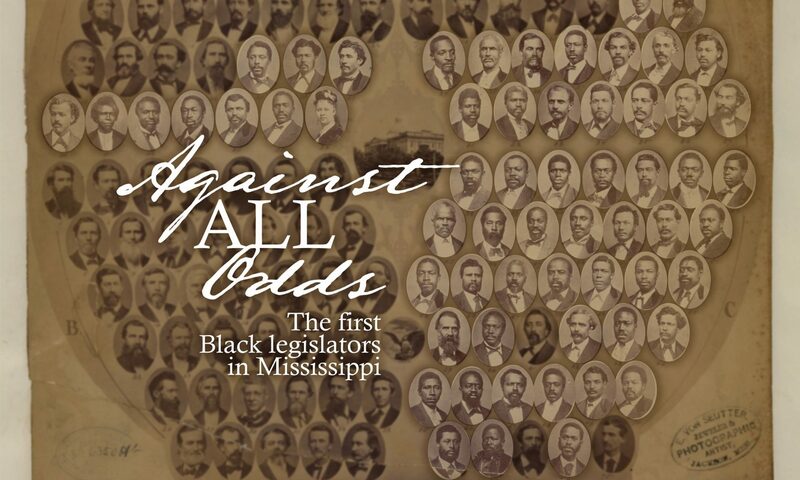 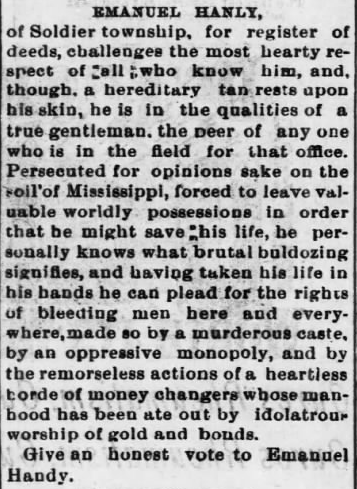 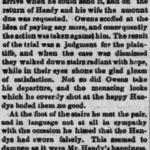 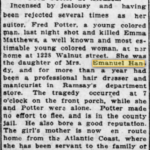 Handy was listed on the 1870 census in Copiah County with wife Hannah and several children. 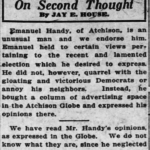 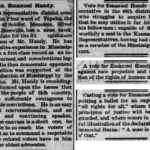 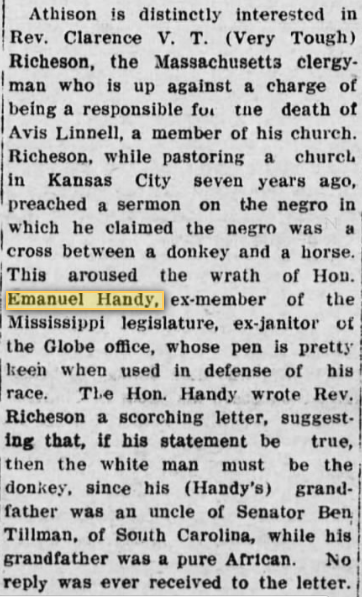 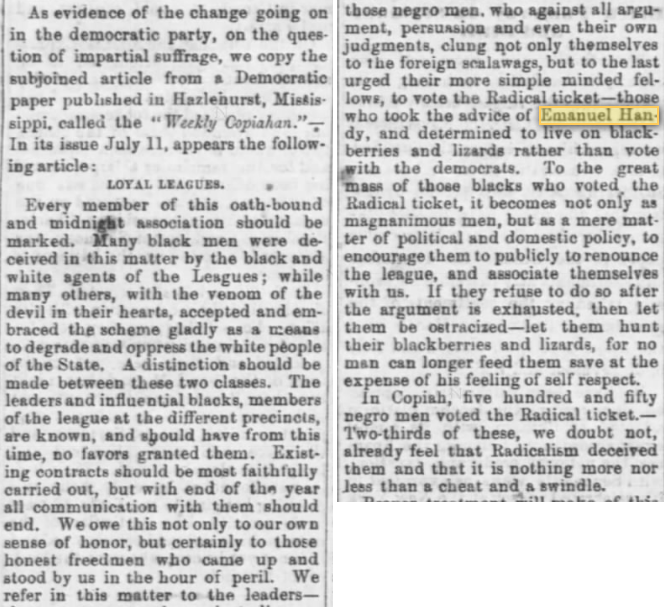 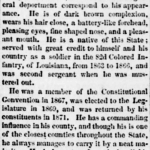 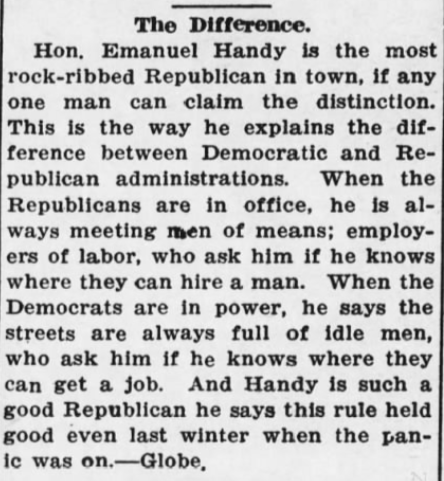 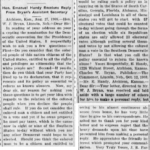 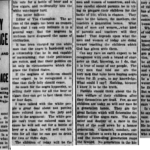 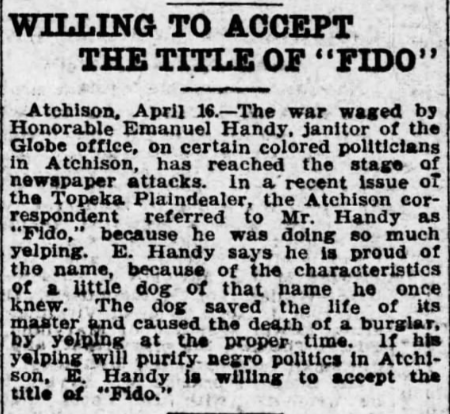 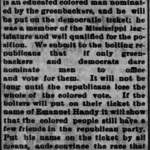 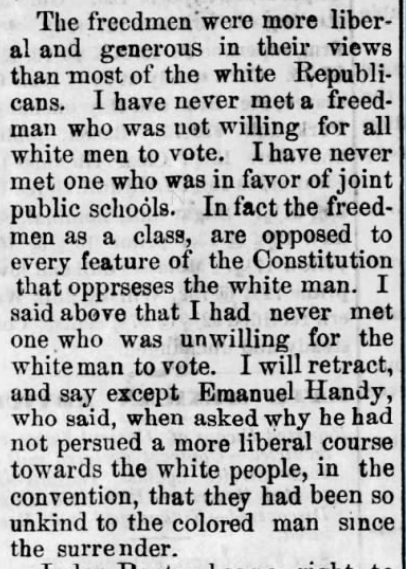 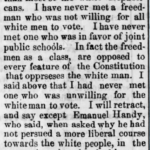 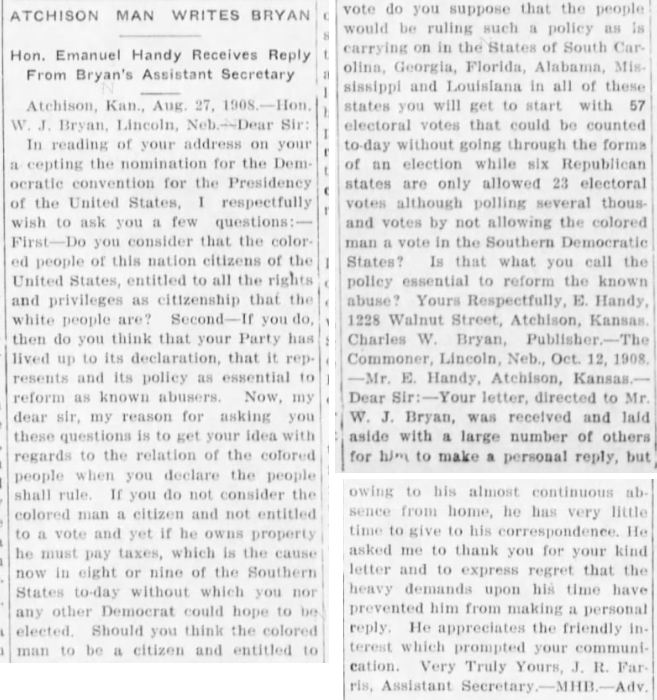 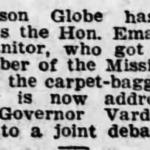 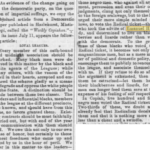 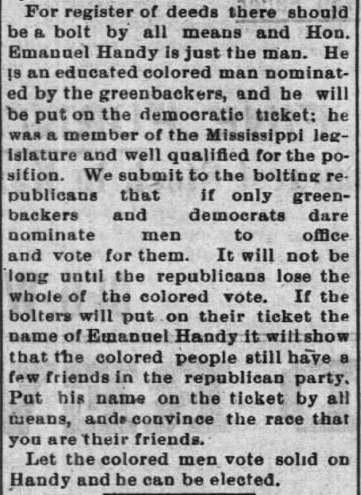 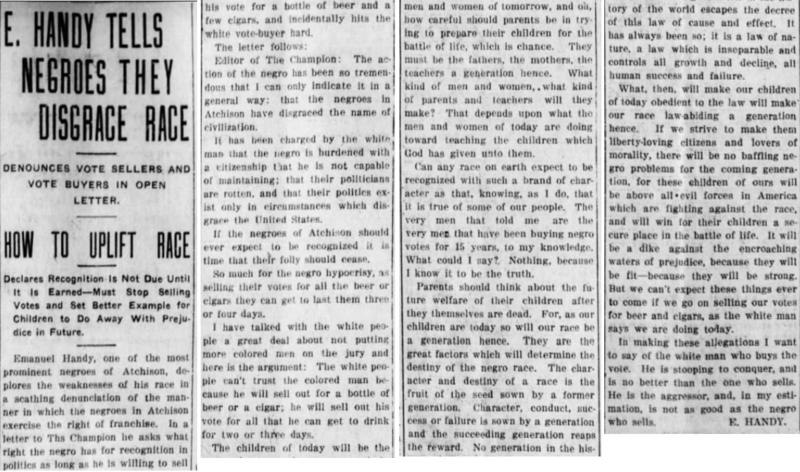 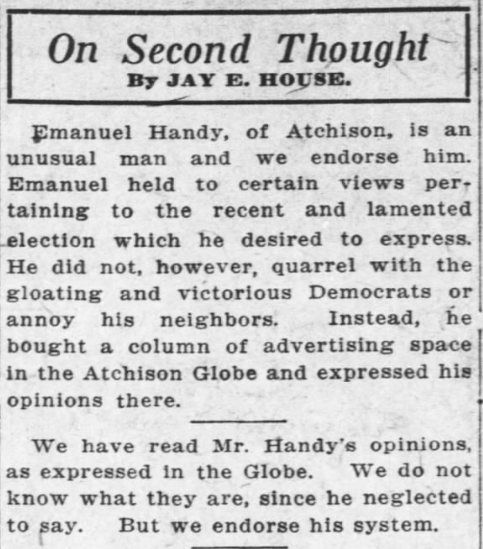 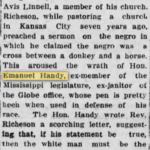 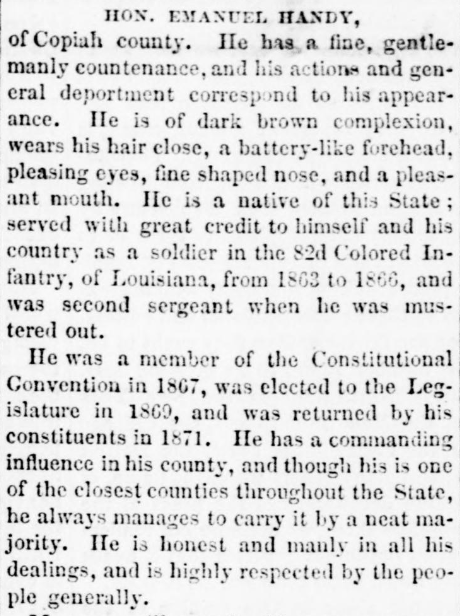 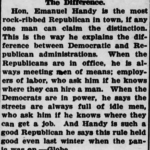 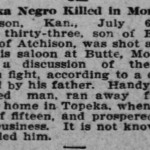 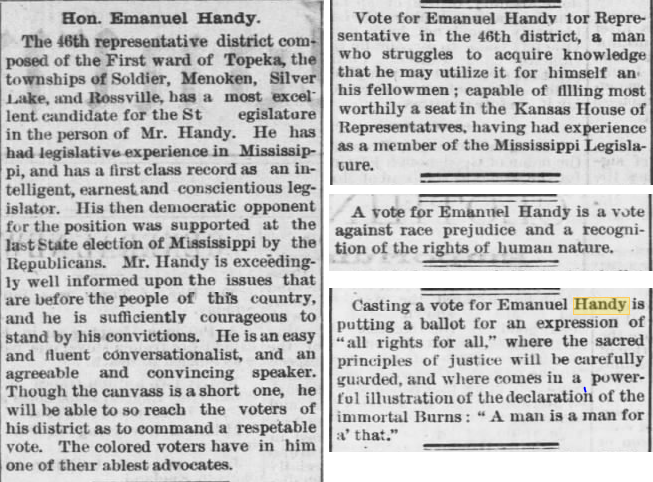 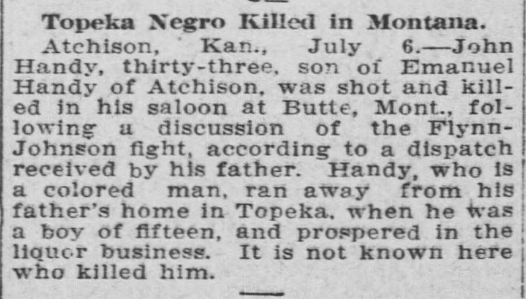 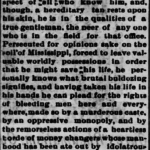 By 1880, he had moved to Kansas, where he also ran for political office. 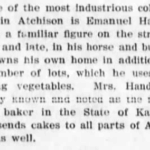 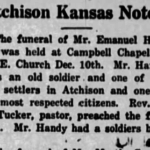 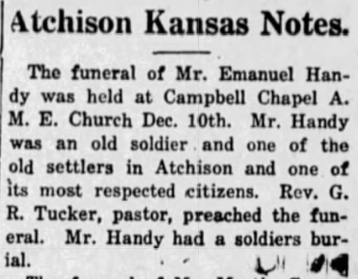 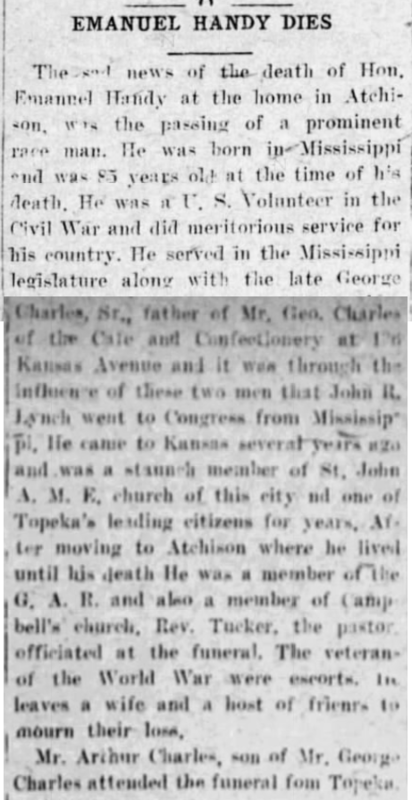 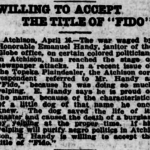 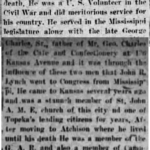 He spent the last decades of his life in Atchison, Kansas, with wife Kate and is buried there at Oak Hill Cemetery.